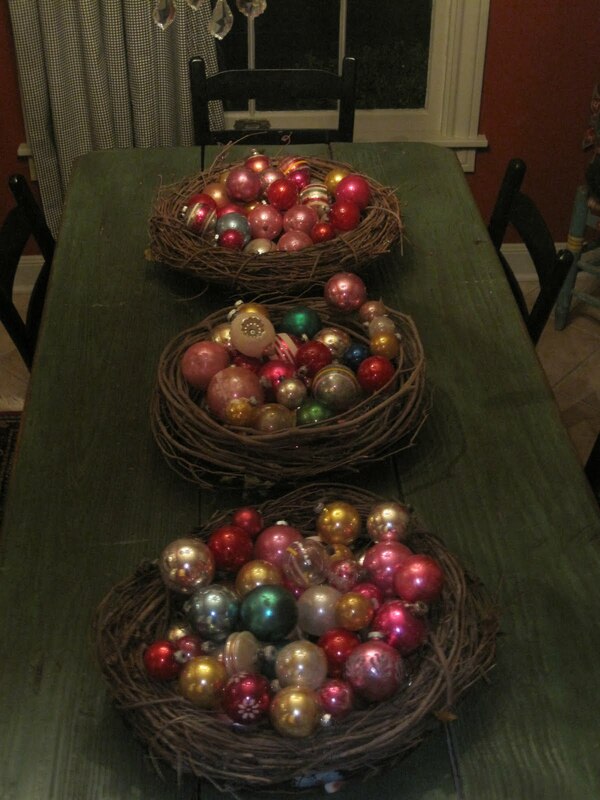 I know the picture looks a little like the Easter bunny is coming to town instead of Santa, but I DO LOVE how the shiny bright ornaments look in the grapevine. My breakfast room is more rustic with a green table made out of reclaimed barn wood and six ladder back chairs, bateas hanging on the wall. 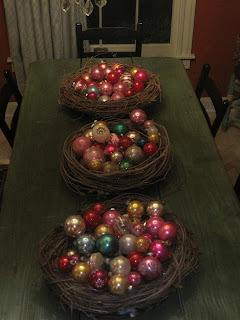 The vintage ornaments top it off and look great. 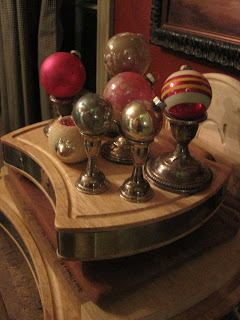 More shiny brights on top of vintage sterling candle holders. I still have so much to do, and Christmas will be here in a flash. I wish the cold weather was here!